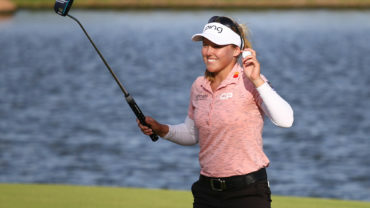 PINEHURST, N.C.– Michelle Wie finally delivered a performance worthy of the hype that has been heaped on her since she was a teenager. 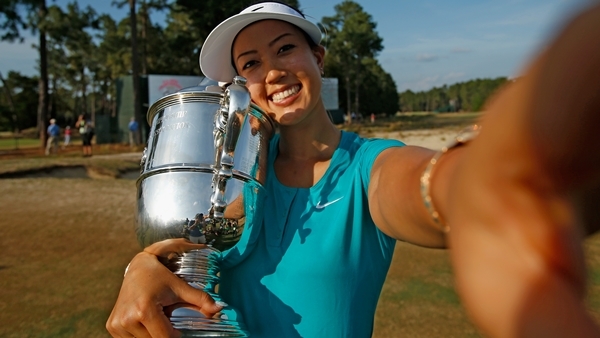 Wie bounced back from a late mistake at Pinehurst No. 2 to bury a 25-foot birdie putt on the 17th hole, sending the 24-year-old from Hawaii to her first major championship Sunday, a two-shot victory over Stacy Lewis in the U.S. Women’s Open. Wie closed with an even-par 70 and covered her mouth with her hand before thrusting both arms in the air. Lewis, the No. 1 player in women’s golf, made her work for it. 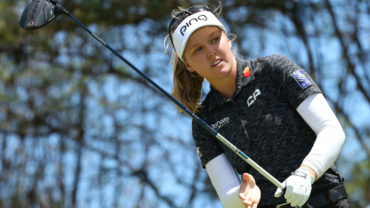 She made eight birdies to match the best score of the tournament with a 66, and then was on the practice range preparing for a playoff when her caddie told her Wie had made the sharp-breaking birdie putt on the 17th. Lewis returned to the 18th green to hug the winner after other players doused Wie with champagne. What a journey for Wie, who now has four career victories – all in North America, the first on the U.S. mainland – and moved to the top of the LPGA money list after winning the biggest event in women’s golf. She has been one of the biggest stars in women’s golf since she was 13 and played in the final group of a major. Her popular soared along with criticism when she competed against the men on the PGA Tour while still in high school and talked about wanting to play in the Masters. That seems like a lifetime ago. The 6-foot Wie is all grown up, a Stanford graduate, popular among pros of both genders and now a major champion. “Oh my God, I can’t believe this is happening,” Wie said. It almost didn’t. Just like her so much of her life, the path included a sharp twist no one saw coming. Wie started the final round tied with Amy Yang, took the lead when Yang made double bogey on No. 2 and didn’t let anyone catch her the rest of the day. In trouble on the tough fourth hole, she got up-and-down from 135 yards with a shot into 3 feet. Right when Lewis was making a big run, Wie answered by ripping a drive on the shortened par-5 10th and hitting a cut 8-iron into 10 feet for eagle and a four-shot lead. 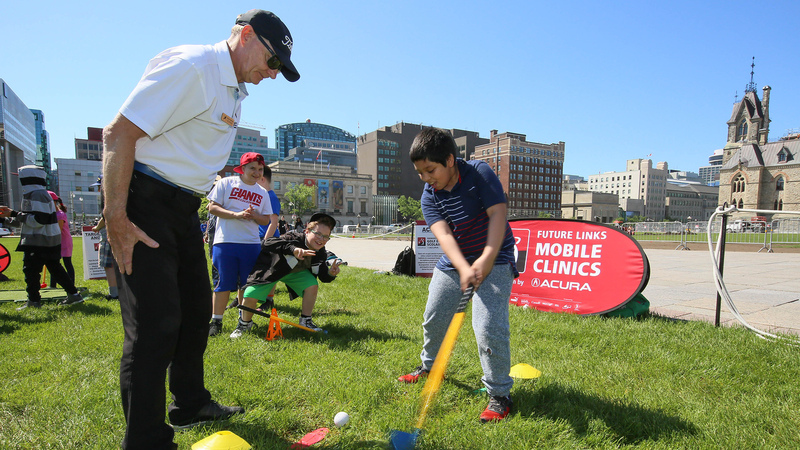 She had not made a bogey since the first hole – and then it all nearly unraveled. From a fairway bunker on the 16th, holding a three-shot lead, she stayed aggressive and hit hybrid from the sand. After a three-minute search, the ball was found in a wiregrass bush that caused her to take a penalty drop behind her in the fairway. She chipped on to about 35 feet and rapped her bogey putt 5 feet past the hole. Bent over in that table-top putting stance, she poured it in to avoid her first three-putt of the week. Smiling as she left the green, even though her lead was down to one, Wie hit 8-iron safely on the 17th green and holed the tough birdie putt. She pumped her fist, then slammed it twice in succession, a determination rarely seen when she was contending for majors nearly a decade ago as a teen prodigy. Lewis got within one shot of the lead with a birdie on No. 13, and after two bogeys, kept her hopes alive by finishing with back-to-back birdies. “I knew I needed to get out early and post some numbers and make Michelle Wie earn it,” Lewis said. 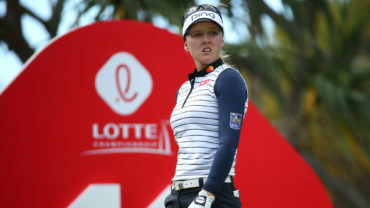 Stephanie Meadow of Northern Ireland made her pro debut by closing with a 69 to finish alone in third, earning $271,373. That should be enough to secure her LPGA Tour card for next season. Yang never recovered from her bad start and closed with a 74 to finish fourth. Juli Inkster never got going, either. The 53-year-old Hall of Famer, playing in her 35th and final U.S. Women’s Open, started four shots out of the lead and didn’t make a birdie until the eighth hole. She closed with a 75 and tied for 15th. She received a standing ovation walking up the 18th green, a remarkable career that includes three straight U.S. Amateur titles, two majors as a rookie, two daughters, and then seven more majors for the career Grand Slam. And she was thrilled for Wie, who has endured already so much for someone so young. Wie is the same age as Annika Sorenstam when the Swede won her first major.